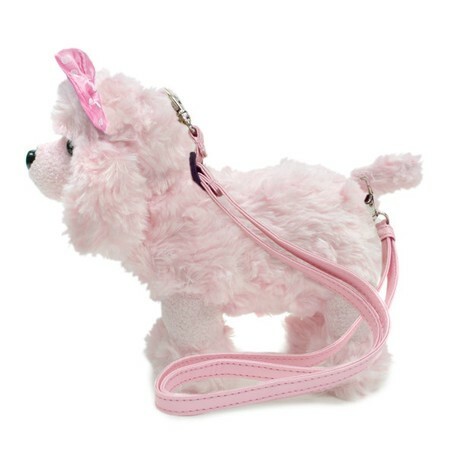 This irresistibly cute handbag comes with a convenient adjustable, detachable strap, and can be used as a crossbody purse, a shoulder bag purse, or just be held as a clutch! 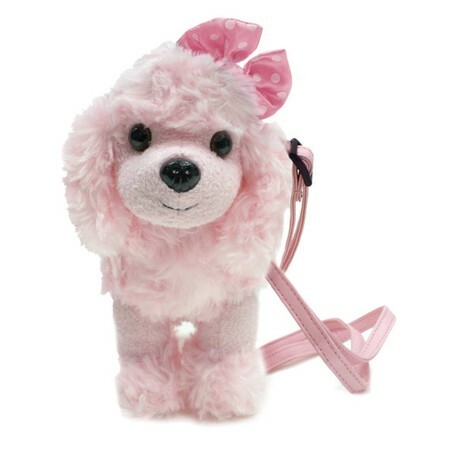 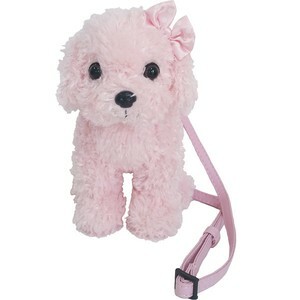 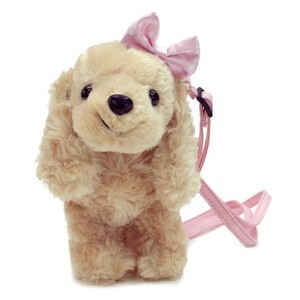 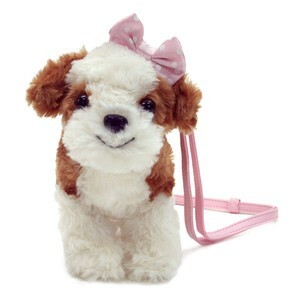 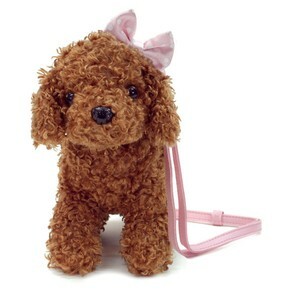 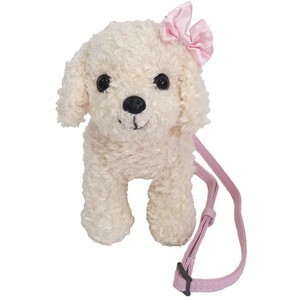 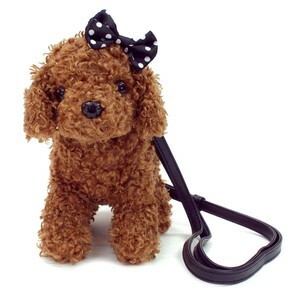 If your little girl loves puppies, she will most definitely love this cute mini-sized handbag! 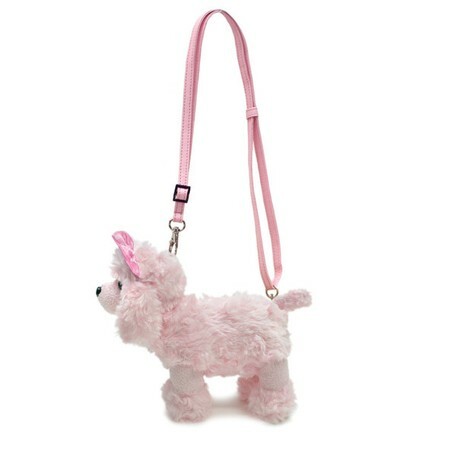 Detach the strap for a best friend to sleep with, or put the strap back on for a cute companion that can be taken everywhere! 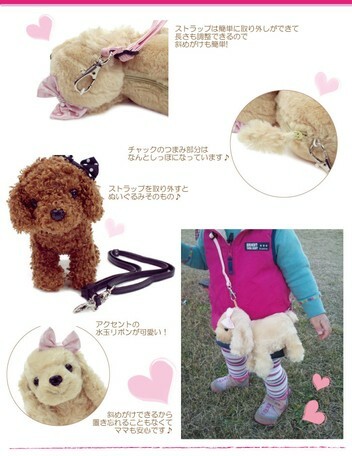 The fluffy tail on its back is the zipper end :) Zip it open for a pretty pink striped compact pouch. 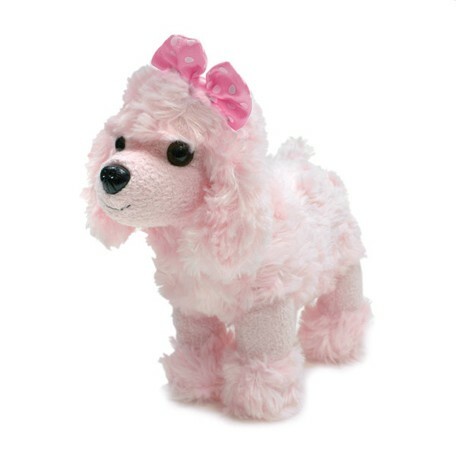 This soft pink poodle wearing a pink polka-dot bow and a cute little smile is waiting to be loved.